Our Creativity team and its experts will provide you with eye catching professional design proposals that suit your business image and identity. Our focus is to live up to the visitor’s expectations and deliver user friendly designs and functionalities. WiseBOS CMS is a custom website editor revolutionising website design and development, delivering awesome websites. To maintain success, we continuously update and improve our editor to keep up with today's trends and technologies. Basic principles we like to implement in our work. The above key points will help you own a successful professional website. Having hundreds of websites in our portfolio, we make sure that we follow all these rules in each and every one of them.
" I could not be happier with how the Powersound website turned out. We are receiving positive feedback from our customers everyday! Ever since the website launched, we receive new customer leads from website visitors. Working with the eBOS Team was easy, they understood exactly what had to be done and delivered." The first phase is to collect all the necessary information regarding the competition, website’s goals, the target audience and identify what type of contents visitors will look for. This is the most important phase as it requires full understanding of a company's needs. After we have all information in place, we are ready to map the whole website. A sitemap lists all main/sub categories and the designers have to identify the technology types that will be applied across the pages. The navigation of the site needs to be straight forward and easy to use. Our team will also plan the position of the content, calls to action and forms. The first thing that will impress the visitors upon entering a website is the overall design. In a matter of seconds, visitors will scan your website and decide if they going to stay or leave. Our creative team will use novel ideas to create awesome and ‘fresh’ layouts. The design will be the result of the 2 previous phases. The logo, the targeting of the audience and the type of contents play a significant role on how the design will be formed. The final design will be presented, explained to the customer and with his/her final approval we will proceed into the ‘developing phase’. 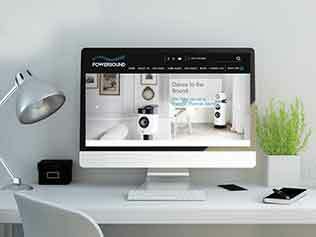 Our designers will now take the finalised design and start developing it using WiseBOS CMS. WiseBOS CMS is our own custom-made website editor, which enables us to create any website for any occasion. The designers also make sure that the css/html code is validated and supported by all the browsers out there. Our front-end web developers are making sure they write valid HTML/CSS code. A temporary URL will be given to the customer to follow the progress of the development phase. At this phase, our team will check if the website is fully functional and well optimised. They will also check all the modules like search, forms, galleries if they are working correctly. Additionally, they will check if the website is fully compatible across all browsers and media devices. In We make sure that we connect the website with google analytics, social media and that we have added the favicon and https-ssl. After delivering a website, our team will offer after-sales support responding to clients’ questions, and if necessary, make additions or changes to the website. We also provide quick training on how our WiseBOS CMS can be used so that you can update your own content and even change content layouts according to your preference. One of the most important subjects to consider while selecting your website designer is continuous support and commitment. It is essential to have an experienced team that provides support at any stage at any time.